Jules Moigniez was a fine sculptor who was an important member of the Animalier school. His works are well modeled and show fine details and accuracy in their portrayal of various animals and birds. 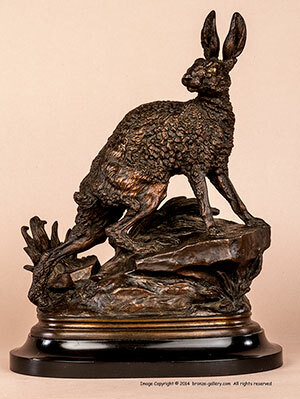 One of his best models are the almost life size pair of Hares or Rabbits titled Chasse Ouverte (Hunting Season Open) and Chasse Fermee (Hunting Season Closed) which show male and female Rabbits with their young one. 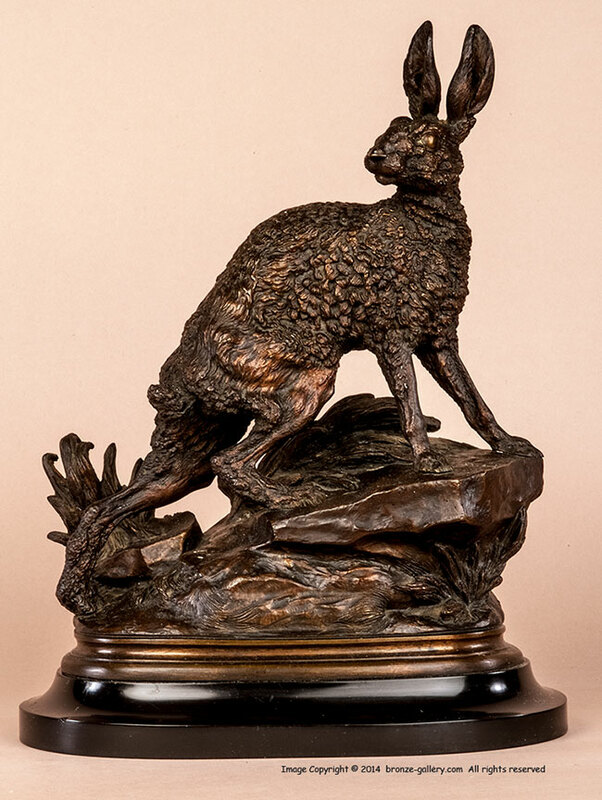 This bronze shows the male Hare titled Chasse Ouverte. These Hares were done in pairs and as single sculptures. 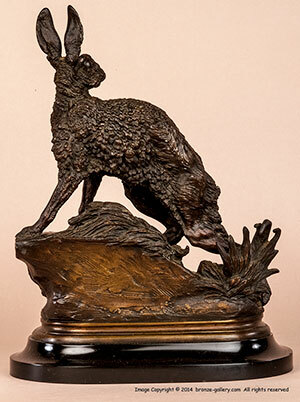 This bronze is a very fine cast done in Moigniez’s own foundry where he and his father did the casting and patinas. It has sharp texture and fur detail, and has a wonderful rich red brown copper gilt patina. This cast of Chasse Ouverte has been sold, but we have another one with a Gilt gold patina, also cast by Moigniez. A superb example of this fine model that is rarely offered for sale.